"I really want to stab someone right now." "Feeling more frustrated than ever before, I trudged upstairs, took a long, hot shower, and went to bed." 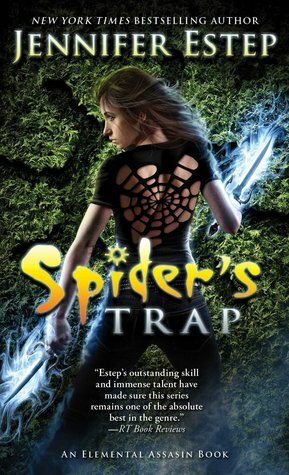 From Spider's Trap by Jennifer Estep. The latest book in the Elemental Assassin Series. It looks like a good addition to the series. The Perfect Bargain by Julie London - This is a quick cute story. The two main characters should not be just right for each other but it turns out they are. 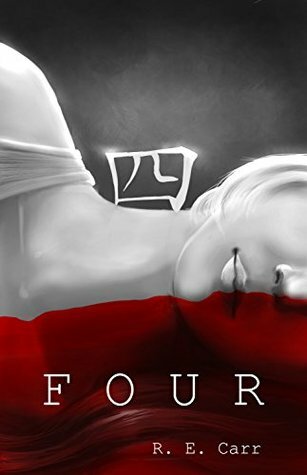 Sloane Chatfield is an American who is trying to get away from her friends good intentions. Galen Buchanan is a pub owner in a tiny village in Scotland. The two strike a bargain that leads to much more than either expected. Nothing that new in the story line but very well written and fun to read. 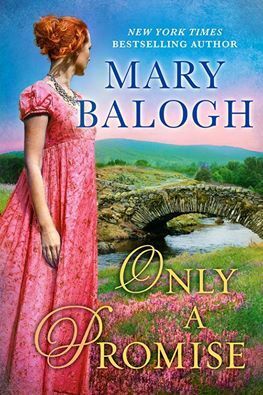 Only a Promise by Mary Balogh – This is the next novel in The Survivor’s Club and found it a little stale. Both Ralph and Chloe were the weakest characters in the series so far. As I read the story it was been there done that and every action was just a replay of several previous books with new character names. For those of us who are long term fans it was fun to see the names of characters from previous series. At least one even had a small part to play. 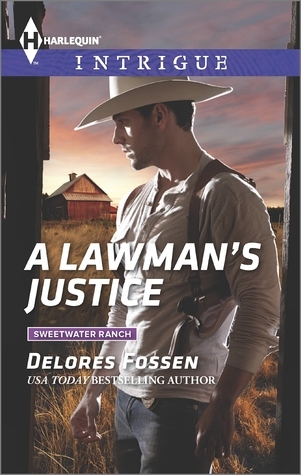 A Lawman’s Justice by Delores Fossen – The final book in the Sweetwater Ranch series and we finally solve the mystery that has been at the heart of the series. I admit I suspected all was not as it seemed and I was right. Of course there is a romance between two more of the characters. It starts out as just tension between two people who seem to be on different sides but changes as they face increasing danger. It is a satisfying end to the series. Lone Rider by B.J. 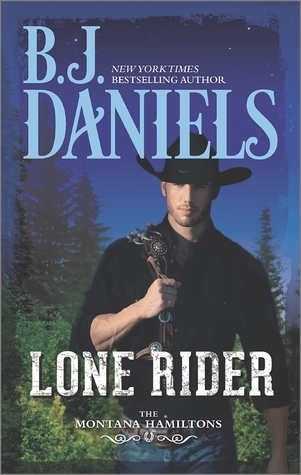 Daniels – This is book two the Montana Hamiltons series. Another of Hamilton’s daughters is in danger and an old flame goes to find her. Bo Hamilton and Jace Calder are at the heart of the story. But Bo and Jace are not the only focus in the book. 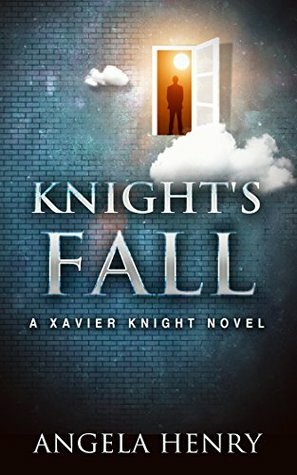 Like previous series there is another mystery that is playing out a little at a time in each book. Someone has returned 22 years after everyone thought she was dead. There is also danger for Jace’s sister and there are hints about the return of Bo’s mother. This is shaping up to be another nail biter with a great cast of characters. Rolling Like Thunder by Vicki Lewis Thompson - Book Three in the Thunder Mountain Brotherhood. This is Finn’s and Chelsea’s story. Chelsea helped Finn with a Kickstarter campaign allowing him to open his brewery. There has always been attraction but Finn has ignored it. Now they have traveled to Wyoming for the conclusion of the Kickstarter campaign for the Thunder Mountain Academy. 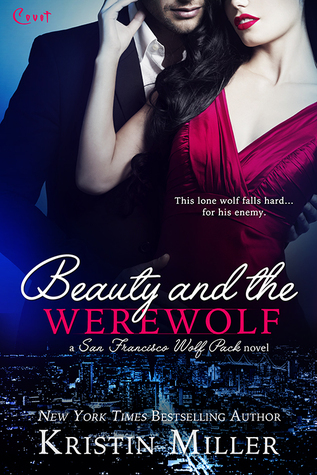 They find a HEA and the Academy does get funded but not without some drama. There is a nice visit to the Chance ranch that adds to the book. A nice addition to the series and a good end for the third Thunder Mountain Brother. 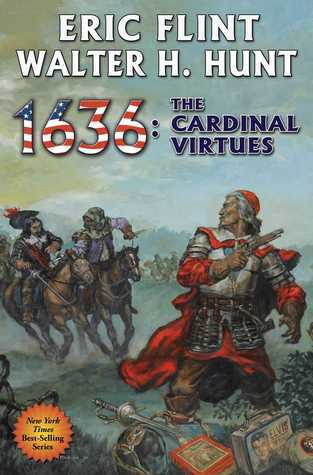 1636: The Cardinal Virtues (Ring of Fire, #19) by Eric Flint and Walter H. Hunt – Do not look for main line characters in The Cardinal Virtues. We do have brief looks at some but they are very brief. Do look of a side story that looks like it will set up main line events in future books. There is a lot of action and mystery in the book and we are left with what may be a clue or may be an Elvis type of event. I enjoyed reading the book. 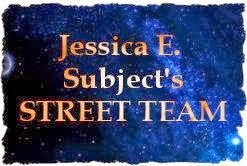 While it is a standalone story it would be much better if you were familiar with previous books. Now that I have finished I want to know how the events will be used in future novels. 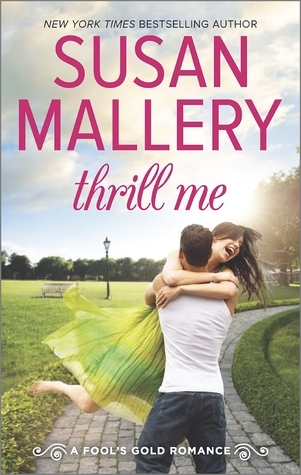 Thrill Me by Susan Mallery – The latest in the Fool’s Gold series Thrill Me introduces 5 brothers who are ripe for romance. Thrill Me brings the oldest, Del Mitchell back for the summer. Maya Farlow is also back in Fool’s Gold. The two have a history and when they have to work together that history repeats itself. Both hope for a better ending this time. As always a fun story filled with great characters. 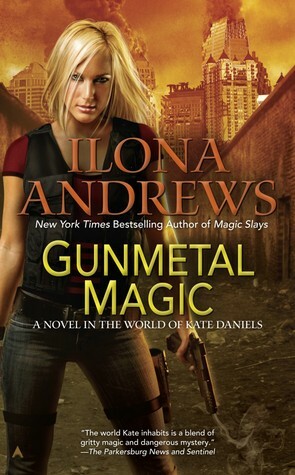 Gunmetal Magic by Ilona Andrews - A spin-off from the Kate Daniels series Gunmetal Magic features Andrea Nash and Raphael Medrano. Kate plays a small part in the story. There is a murder to be solved and Andrea is the one doing the investigation. There is more than murder in the wind. Andrea and Raphael have personal issues. Andrea is trying to overcome issues from her past. This is very much a character and action driven story filled with danger, tension and romance. It does stand-alone. Did her sister exist? Was she pushed? Did Keith push her? Why has she never been mentioned? All of that is part of the mystery of The Secret Sister. Maisy Lazarow get much more than she expected when she returns home to Fairham Island. Instead of helping her brother and mending fences with her Mother she bring an age old mystery out in the open. 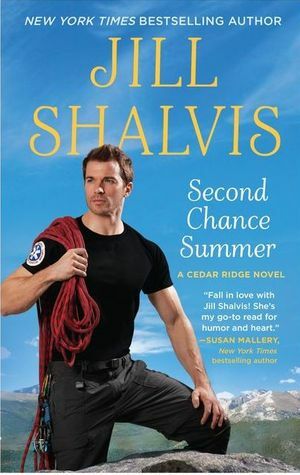 She also reconnects with Rafe Romero and finds that romance has not disappeared from her life. 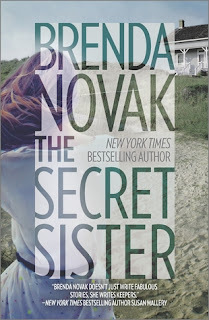 The Secret Sister has a great setting, interesting characters and a mystery with more than one twist and turn. I was very surprised by the answer to the four questions I started the review with. This is the start of a new series by Novak. I did see a nice collection of secondary characters but really did not see the hook for future stores that sometimes appear in a new series. It looks like whoever will be featured next will be a surprise. It does leave me with another question. Will it also be a romance wrapped in a mystery? 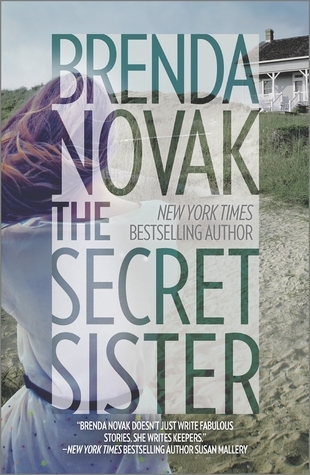 Mira published The Secret Sister by Brenda Novak in 2015. Breaking Out: Part II is the sequel to Breaking Out (now called Breaking Out: Part I) which was a short story included in two anthologies. Breaking Out: Part I is included in this special NetGalley reviewers edition, but will be sold separately on the retail sites. 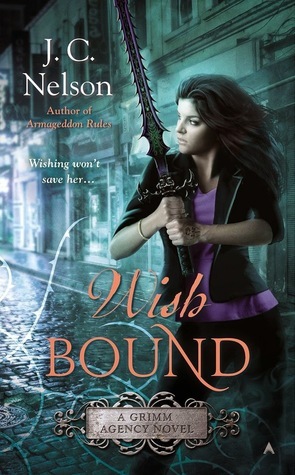 *I usually go to Goodreads for the blurb but thought Netgalley did a much better job of explaining the story. I loved both Breaking Out Part I and Part II. Part One is a short story and Part II is a novella. They are published separately but review much better together. Every main character in both stories has a special talent. That is why they are locked up and being experimented on. Part I is more adventure with a hint of romance. Part II has a lot of adventure but the romance moves beyond the hint. The beginning of part one was perfect. Kelli Barrack is just sitting in her cell when Nate Halliway comes crashing in through the door that has just been opened by her jailers. Her special abilities are revealed as she helps Nate subdue the guards. What follows is a great story filled with danger and tension as Kelli, Nate and his friend Giles escape. I could immediately see why people kept asking for additional stories featuring these three great characters. While these three are free others are not and as the story ends Kelli is determined to rescue as many of the others as possible. Part II starts months later as Kelli, Nate and Giles plan their first rescue. Of course it does not go as planned. It seems more that Kelli and group have plans for Nina Calvados. Nina’s reaction to those plans gives her the opportunity to try her escape on her own. That stirs everything up and makes it much more dangerous than expected. I liked how I got to know Nina before the escape started. Like Kelli, Nate and Giles she has a special talent. She seems a little passive at first but she is really just waiting for her opportunity to escape. It comes when she is pushed to defend another prisoner. Then her talent comes out full force allowing her the opportunity to try to escape. She just needs some help and it turns out there are three people there ready to help see that she gets away. Not without a lot of trouble though. Their plan to break Nina out does not survive the first contact with reality. I love the characters and would love to see them have additional adventures. There is certainly room for more world building and back story. Hopefully I have not seen the last of Kelli, Nate, Giles, and Nina. Eclipse published Breaking Out by Michelle Diener in 2015. 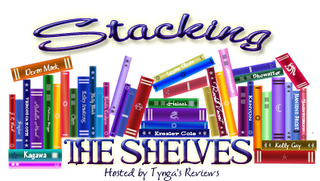 Teaser Tuesdays is a weekly bookish meme, hosted by MizB of A Daily Rhyme. Anyone can play along! Just do the following:"
"Now...why do you have to be on board this ship, Lieutenant? Convince me of that, and remind yourself of why it's important for you to get along with everyone on board. Including me," Jackie said watching the back of his head, the set of his shoulder, the tension in his arm." 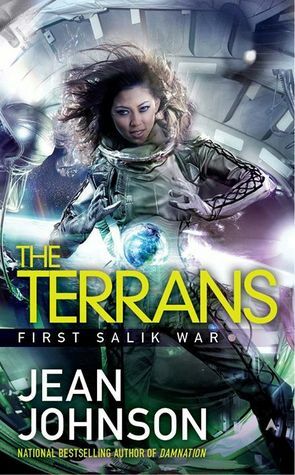 From The Terrans by Jean Johnson. It comes out today and is what I am currently reading for review. I have met new people because of a book or books. 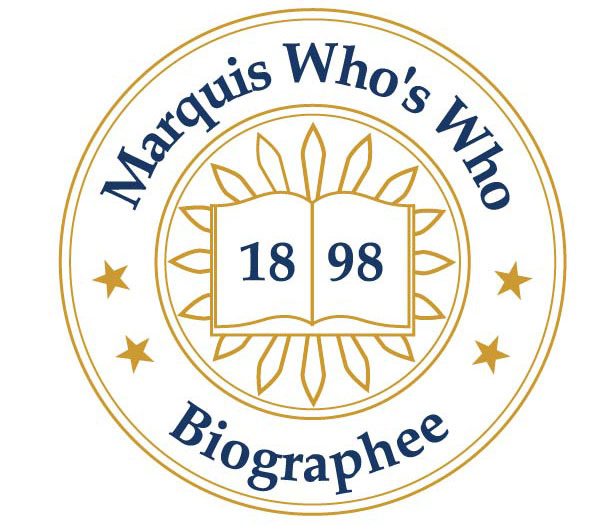 Most were just people I had something in common. I consider them casual friends but not the good friends I would share most things with. I guess book friends is a good label. Some of you are book friends even though I have never met any of you in person. Book friends are why I started blogging. I wanted to share what I read and this was the best way. Alexa Craig is well aware she’s known as “The Ice Queen” -- and not out of admiration -- but her reputation has served her well in her diplomatic career. 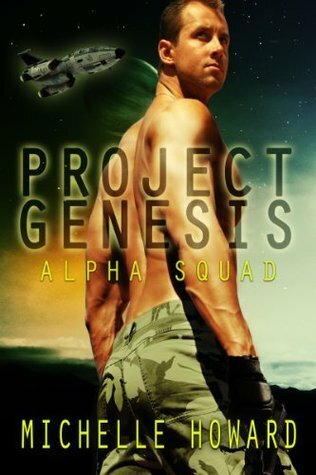 Alien ambassador Lirzhan understands his people are viewed with suspicion and curiosity by the members of the Gaian Consortium, but the Zhore do not casually reveal themselves to outsiders -- not even to someone as intriguing as Alexa Craig. But after their ship is attacked during a routine flight, the two strangers must rely on each other to survive on the supposedly uninhabited world where their escape pod has crashed. 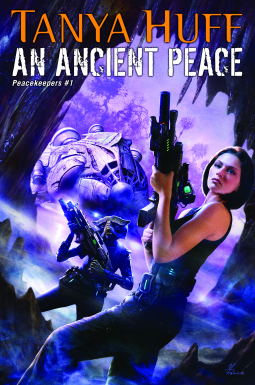 When Alexa and Lirzhan discover the secret hidden behind Mandala’s wild beauty, they must put duty before desire and risk everything to warn the Galactic Council of a conspiracy that could endanger their lives, their worlds, and the future they have begun to imagine together. The Mandala Maneuver is the fourth book in The Gaian Consortium series and the second I have read. Both it and Breath of Life, book one in the series, feature one of the more secretive races in the Consortium, the Zhore. While Breath of Life is a retelling of Beauty and the Beast set in a Science Fiction world The Mandala Maneuver is exciting Space Opera. Alexa and Lirzhan are both interesting characters who have to carry the story. There are several familiar tropes in the story but they are very well used and fit both the characters and the plot. I loved the tension in the story. The danger and the discovery made by Alexa and Lirzhan was very believable. While their escape from the danger did provide some of the tension the pressure put on Alexa after they were rescued really ramped the tension up. 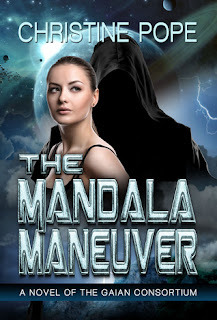 The Mandala Maneuver provides both SFR and Space Opera. It is a combination that I love and I found it very well done. Dark Valentine Press published The Mandala Maneuver by Christine Pope in 2014. "Thief!" a heavy voice shouted from the door. That's rich one of them calling me thief, Veranaiz Calbert thought." "He grabbed the cloak and pulled it out of the sack. As soon as he touched it, he had a heady giddy feeling." 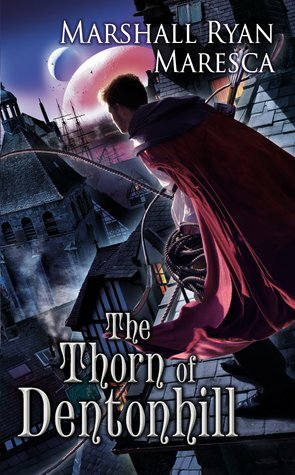 From The Thorn of Dentonhill, A Novel of Maradaine by Marshall Ryan Maresca. 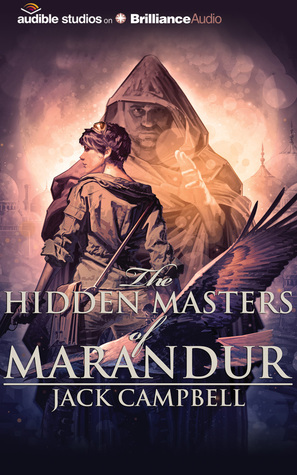 I loved A Murder of Mages by the same author. The two are set in the same city but each follows a different group. I have high hopes for this one.